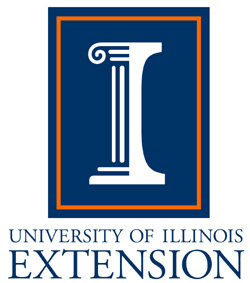 U of I Extension Office Schedule will be offering a variety of classes over the spring. U of I Extension Office Coordinator Duane Friend recently detailed 6 different seminars, workshops and classes on the “What’s On Your Mind?” Program. On April 17th from 6-8PM, the Jacksonville office will have Friend, Cass County Coordinator and local firefighter Dustin Fritche, and Passavant Area Hospital’s Elijah Logan providing tips, instructions, and preparedness for when a natural disaster strikes. The workshop will tackle ideas on disasters like ice storms, floods, earthquakes, and tornadoes. Cost will be $5 per person at the door. On the following day April 18th, a class on how to use a topographical map and a compass for when you are in an area where cell phone services or electronics aren’t available will take place outside of Kampsville in Calhoun County in the McCully Heritage Farm on Crawford Creek Road. The interactive program will run from 1-4PM and cost of registration is $10 per person. However, if you are a registered Master Naturalist or Master Gardener, there is no charge. There will be a limit to the first 25 people for the program. Horticulturist Ken Johnson will host two consecutive programs in two locations on dealing with pollinators in the garden. The first will be held at the Greene County Extension Office in Carrollton on April 23 and on the following day at the Morgan County Extension Office in Jacksonville. Registration can happen via a phone call to the office in Jacksonville. Friend will host a free statewide webinar on severe weather on April 25th at 1:30PM. Anyone with access to the Internet can access the webinar at home. It will focus specifically on thunder, lightning, and tornado preparedness. Friend hopes to dispel myths about lightning and its dangers. Johnson will host a seminar on preventing mosquito and tick bites. Johnson will talk about the life cycles of these native parasites, how they searched for hosts, and how to prevent being bit. The seminar will be held on back-to-back days in two locations: May 21st at 6PM in Carrollton at the extension office and the following day, May 22nd at 6PM at the Morgan County Extension Office. The popular Farm Pond Management seminar will return on May 24th at 6PM for $10 per person. Friend and Illinois Department of Natural Resources Blake Ruebush will talk about general management, ecology, and wildlife that encompass local watersheds. 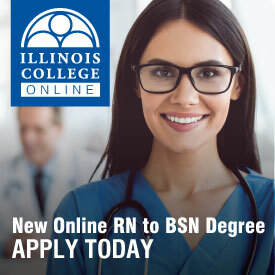 For more information, registration, and the full upcoming schedule for the Morgan County University of Illinois Extension Office, you can contact Duane Friend during business hours, Monday-Friday at 217-243-7424 or via email at friend@il.edu. To listen to the complete “What’s On Your Mind?” Conversation with Friend, search for the recent newscast on the News Page on wlds.com.